Electric griddles are very handy appliances that save your time and energy. Electric griddles are spectacularly famous for cooking breakfast items like pancakes and eggs. But there are more than just pancakes that you can prepare on electric griddle. 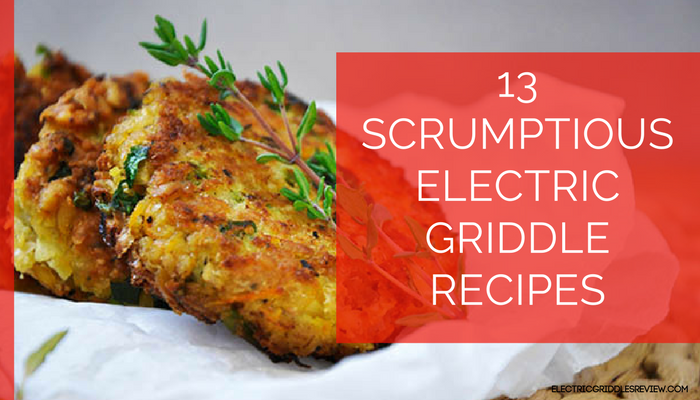 Here are 13 scrumptious electric griddle recipes, and no, they are not pancakes or eggs. Grate potatoes; squeeze between paper towels to remove moisture. Toss grated potatoes, parsley, chives, salt and pepper in a bowl. Make patties of the potato mixture. Cook each side for 5 minutes, until golden brown. Put the crab in mixing bowl and set aside. In a small bowl, whisk the egg, mayonnaise, mustard, Old Bay seasoning, lemon juice, Worcestershire sauce and salt. Pour the egg mix over the crab and mix gently until well combined. Add in the breadcrumbs and parsley and mix them thoroughly but gently. Cover the mixture with plastic wrap and refrigerate for 1-3 hours. 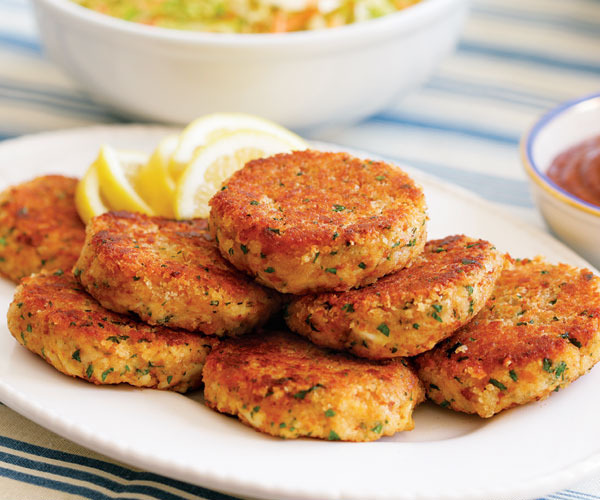 Shape the crab mixture into cakes about 1-inch thick. Brush the griddle with the butter and olive oil over medium heat. When butter begins to froth, add the cakes to the griddle. Cook both sides for 4-5 minutes, until golden brown. Serve with lemon wedges and your favorite garnish. Prepare the filling with any filling ingredients you like. Just make sure your filling is cooked before making quesadillas and keep warm. Heat your griddle over medium to medium-high. Melt the butter or oil, just enough to coat the griddle. Add the tortillas and top them with cheese. Add the filling over just half the tortillas. 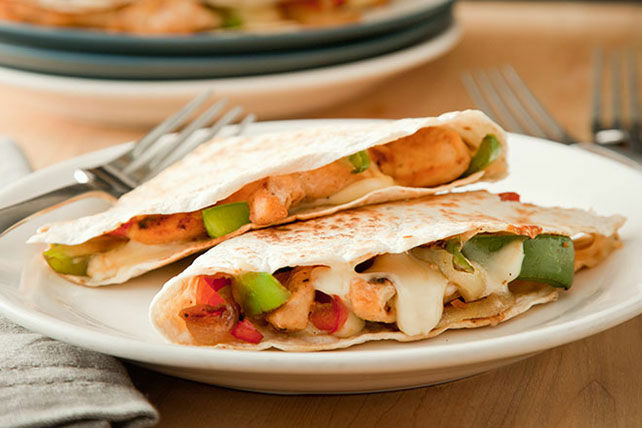 Don’t use too much filling; this makes quesadillas easier to fold. When the cheese starts to melt, quesadillas are ready. Use the spatula and fold them into half. Transfer to a cutting board and slice into wedges. Sauté onion and garlic until onion is soft and garlic is golden. Set aside to cool. Put the sautéed onion and garlic n a blender. Add the chickpea, cilantro, parsley, rice, curry powder and cayenne powder. Pulse until all ingredients are finely chopped and evenly distributed. Put the mixture into a bowl and add in the lemon juice and ¼ cup of breadcrumbs. Keep the remaining breadcrumbs in a shallow bowl. Knead the chickpea mixture with hands and form the patties. 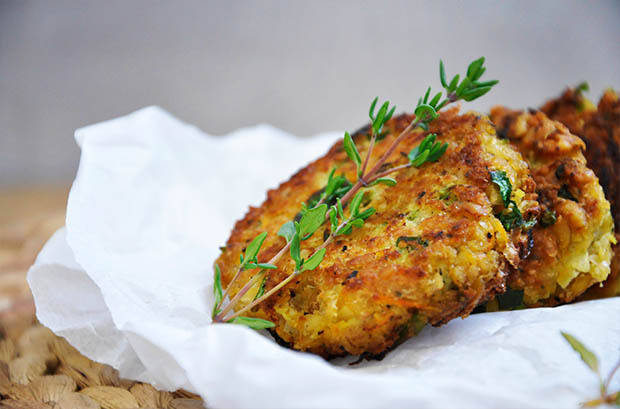 Coat the patties lightly with remaining breadcrumbs. Heat the griddle and brush lightly with oil. Cook patties for 4 minutes on each side until light brown. Serve with pita bread or any dipping. 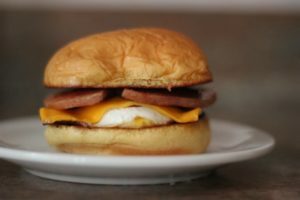 Slice the pork roll to approximately ¼ inch thick slices or slightly thicker slices. 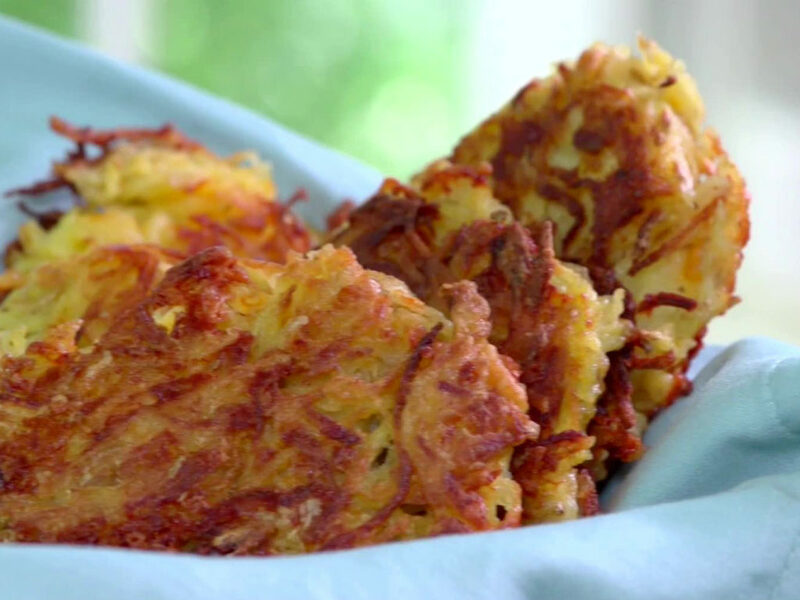 Make the slits (3-4) on the slices to avoid curling while frying. Preheat the griddle to medium high heat and toss the pork roll slices on it. Since the pork roll is precooked, just warm it up. While the pork roll slices are heating up, cut your English muffins into half and place them face down on the griddle. Add the cheese slices on top of pork roll slices. If your griddle has lid, close the lid to help melt the cheese. Flip your muffins over and butter them. Assemble the pork roll slice, cheese and muffins. Enjoy! Mix the corn flour, water and ricotta cheese. Stir well and knead with your hands to form cohesive dough. Divide the dough into 8 equal portions and then pat into think round cakes. Place the cakes on the griddle and cook for about 7 minutes on each side, until they are golden and crisp on the outer surface. Remove the cakes from the griddle and keep them on warming tray. Drizzle a bit of oil on the griddle and add the onions. Sauté the onions until translucent and then add shredded chicken and spices. Stir well and cook about 3 minutes until chicken is thoroughly heated. 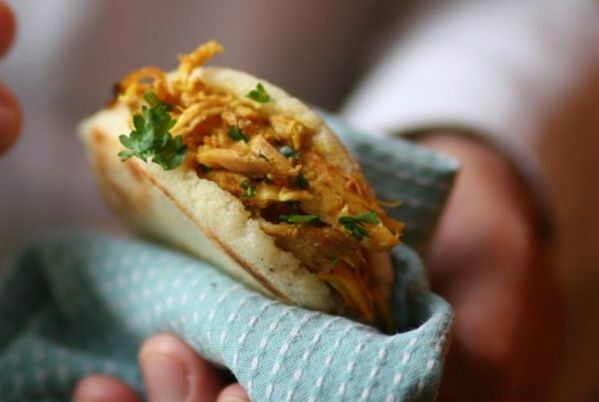 Split the arepa with sharp knife and fill with the chicken filling. Heat the griddle to 325º. Spread the butter on the griddle. Place the breads on the griddle and start building the sandwich. Add the cheese slices and shredded cheese according to your preferences. 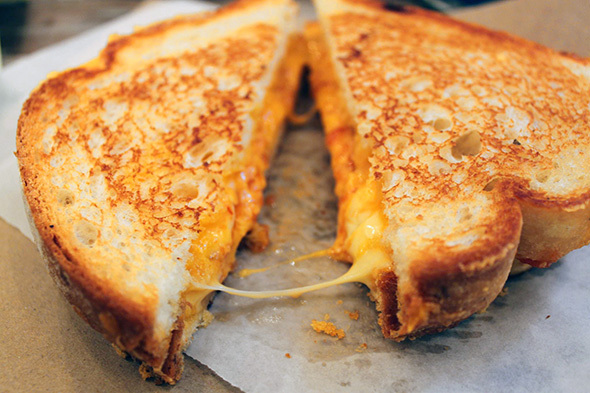 Flip the sandwich carefully when the bottom piece of bread is brown and cheese is melting. Turn the heat down if bread is browning before the cheese is melted. Cook until the other bread is brown and cheese is melted. Remove from the griddle and let it cool for couple minutes. Sandwich is ready to be eaten. Heat the griddle over medium-high heat and brush with oil. Add onions and bell peppers; cook for about 7 minutes, stirring occasionally until they begin to soften. Add garlic, salt and pepper; cook for about half minute. Push the mixture off to the side of the griddle and add meat on an empty space on the griddle. On the remaining space of the griddle, split the bread and place it facedown to toast. Cook the meat for couple minutes, continuously flipping it over and slightly breaking it into smaller pieces with spatula until the meat is no longer pink. Mix the meat and vegetables together and top with cheese. Assemble the sandwich after cheese is melted. Enjoy. Cover the chicken breasts with greaseproof paper and flatten slightly with a rolling pin or a mallet until about ½ inch thick. Mix all ingredients in a bowl for marinade; add chicken and marinate for at least one hour. Remove the chicken and reserve the marinade. Heat the griddle until really hot, brush with a little oil. Place chicken breasts on the griddle and cook for 4-5 minutes on each side. Strain the marinade, pour it into a small saucepan, bring to the boil and then simmer for one minute (add little water if necessary). Serve the chicken with the sauce and any vegetable of your choice. If hot dogs are frozen, defrost them. Preheat your griddle for at least 5 minutes. Set the temperature to high. Place as many hot dogs on the griddle as you want. 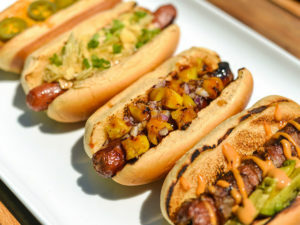 Most hot dogs are precooked so you can remove them from the grill whenever you want. Turn them after 2-3 minutes. Serve them with the fresh buns and condiments of your choice. Combine the minced cube steak, ground chuck, 1 tbsp. of steak seasoning, a pinch of red pepper flakes and a quarter cup of steak sauce in a large bowl. Mix with hand until thoroughly combined. Divide the mixture into 4 portions and form large patties; sprinkle a little of the remaining steak seasoning. Add in enough oil on the griddle once it is heated. Scatter the onions and cook until slightly soften and golden brown. Remove and set off to the side. Add little more oil to coat the griddle and place the patties with the seasoned-side-down. Cook for about 6-8 minutes and flip; add cheese on top and cover with dome lid to melt the cheese. Cut the buns into half and place on the griddle for 2-3 minutes to toast. Assemble the buns, steak patties with cheese and onions. 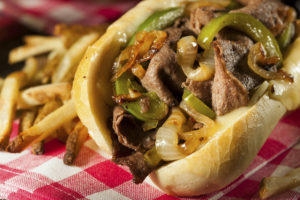 Serve with drizzle of steak sauce. Enjoy. 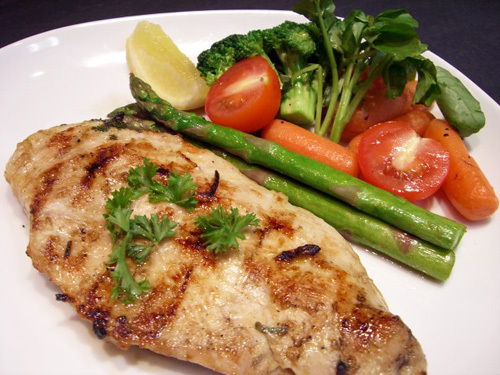 Place the tilapia on a workable, flat surface or a shallow dish. 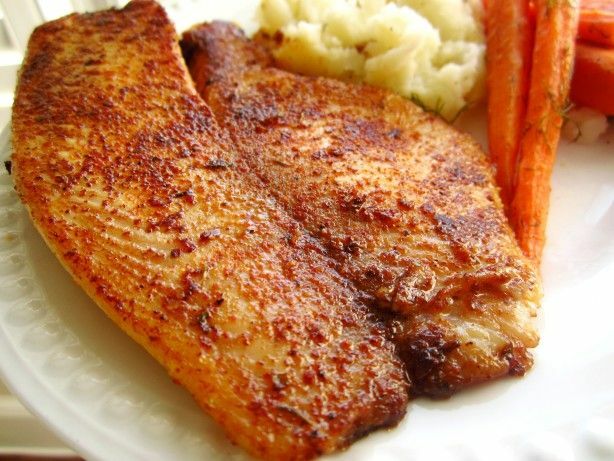 Season both sides of the tilapia with your favorites herbs and spices. 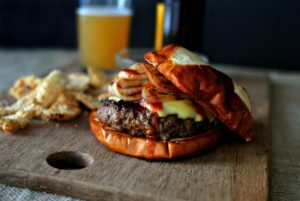 Use a grill griddle if you want classic grill marks on your food. Cut the aubergine and courgettes lengthways into slices of half inch thick. Remove the woody parts from the asparagus stems. Prepare the mixture of oil, oregano, salt and pepper; brush the mixture all over the vegetables. 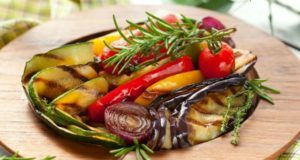 Cook the vegetables in batches; cook aubergines for 15 minutes and courgettes and asparagus for 5-10 minutes, turning them over halfway through cooking. Don’t let your griddle be boring and sit on your counter top idle. Try the above-given recipes and make the best out of your griddle. Don’t forget to share your recipes that you make on your griddle. If you are looking for the best electric griddle to buy, check our reviews of 10 best electric griddles of 2017. Note: electricgriddlesreview.com does not hold copyright on any of the images used in this post. Will these recipes work on a gas griddle on a Wolf all gas range?